3 my God is my rock, in whom I take refuge, my shield and the horn of my salvation.He is my stronghold, my refuge and my savior— from violent people you save me. and have been saved from my enemies.5 The waves of death swirled about me; the torrents of destruction overwhelmed me.6 The cords of the grave coiled around me; the snares of death confronted me. I called out to my God.From his temple he heard my voice; my cry came to his ears.8 The earth trembled and quaked, the foundations of the heavens shook; they trembled because he was angry.9 Smoke rose from his nostrils; consuming fire came from his mouth, burning coals blazed out of it.10 He parted the heavens and came down; dark clouds were under his feet.11 He mounted the cherubim and flew; he soared on the wings of the wind.12 He made darkness his canopy around him— the dark rain clouds of the sky.13 Out of the brightness of his presence bolts of lightning blazed forth.14 The Lord thundered from heaven; the voice of the Most High resounded.15 He shot his arrows and scattered the enemy, with great bolts of lightning he routed them.16 The valleys of the sea were exposed and the foundations of the earth laid bareat the rebuke of the Lord, at the blast of breath from his nostrils. he drew me out of deep waters.18 He rescued me from my powerful enemy, from my foes, who were too strong for me.19 They confronted me in the day of my disaster, but the Lord was my support.20 He brought me out into a spacious place; he rescued me because he delighted in me. according to the cleanness of my hands he has rewarded me.22 For I have kept the ways of the Lord; I am not guilty of turning from my God.23 All his laws are before me; I have not turned away from his decrees.24 I have been blameless before him and have kept myself from sin.25 The Lord has rewarded me according to my righteousness, according to my cleanness in his sight. to the blameless you show yourself blameless,27 to the pure you show yourself pure, but to the devious you show yourself shrewd.28 You save the humble, but your eyes are on the haughty to bring them low.29 You, Lord, are my lamp; the Lord turns my darkness into light.30 With your help I can advance against a troop; with my God I can scale a wall. The Lord’s word is flawless; he shields all who take refuge in him.32 For who is God besides the Lord? And who is the Rock except our God?33 It is God who arms me with strength and keeps my way secure.34 He makes my feet like the feet of a deer; he causes me to stand on the heights.35 He trains my hands for battle; my arms can bend a bow of bronze.36 You make your saving help my shield; your help has made me great.37 You provide a broad path for my feet, so that my ankles do not give way. I did not turn back till they were destroyed.39 I crushed them completely, and they could not rise; they fell beneath my feet.40 You armed me with strength for battle; you humbled my adversaries before me.41 You made my enemies turn their backs in flight, and I destroyed my foes.42 They cried for help, but there was no one to save them— to the Lord, but he did not answer.43 I beat them as fine as the dust of the earth; I pounded and trampled them like mud in the streets. you have preserved me as the head of nations.People I did not know now serve me,45 foreigners cower before me; as soon as they hear of me, they obey me.46 They all lose heart; they come trembling from their strongholds. Exalted be my God, the Rock, my Savior!48 He is the God who avenges me, who puts the nations under me,49 who sets me free from my enemies.You exalted me above my foes; from a violent man you rescued me.50 Therefore I will praise you, Lord, among the nations; I will sing the praises of your name. A. Part One: Praise, Deliverance, and the Reason for Deliverance. 1. (1) Introduction to the psalm. a. Then David spoke to the LORD the words of this song: For many reasons, most commentators assume that this was a psalm David wrote and sung many years before and is inserted at the end of 2 Samuel out of its chronological place. This is possible, but not necessary. b. The words of this song: With minor variations, this psalm is the same as Psalm 18. It is likely that David composed this song as a younger man – perhaps when Saul died, and he first took the throne, as described in 2 Samuel 8:14, when David had subdued all his enemies, and the LORD preserved David wherever he went. Yet in his old age David could look back with great gratitude and sing this song again, looking at his whole life. 2. (2-4) David praises the God of his deliverance. a. My rock and my fortress and my deliverer: David piled title upon title in praising God. God’s work for David was so big and comprehensive that it couldn’t be contained in one title. · God delivered David from Goliath. · God delivered David from Saul. · God delivered David from backsliding. · God delivered David from Israel’s enemies. · God delivered David from Absalom. · God delivered David from David’s own sinful passions. b. In whom I will trust: When we see God for who He is, it is easy to trust Him. When we know He is our rock and fortress and deliverer and shield and stronghold and Savior, it is natural to then trust Him completely. i. Faith does not completely depend on knowledge, but the right knowledge of God gives great strength to faith. c. My Savior, You save me: Each title was meaningful to David because God fulfilled the meaning of each title in David’s experience. This isn’t a list of the names of God one might find in a systematic theology; this is the knowledge of God combined with the right experience of God. 3. (5-20) David’s deliverance comes from God. 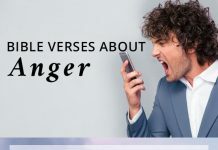 a. Waves… floods… sorrows… snares: Danger surrounded David on every side – physically, spiritually, emotionally, socially – David was on the brink of ruin when he cried out to God. b. In my distress I called upon the LORD: The enemy of our soul wants us to believe that we can’t call upon the LORD in our distress – as if we had to be right with God and sitting peacefully in a prayer chapel to pray rightly. David knew that God hears our distress signals. c. He heard my voice: For David it was that simple. He cried out to God, and God heard. David also knew that God could not hear the distress of His people without taking action on their behalf. d. Then the earth shook: God was so concerned about David’s problem that it seemed to David as if He shook the earth to meet his need. e. He rode upon a cherub, and flew: David pictured the LORD coming to meet his need, coming with glory and speed. He came so fast to David that it seemed that God traveled upon the wings of the wind. f. The Most High uttered His voice: When God came He spoke up on David’s behalf, commanding all creation to respond to His passionate desire to deliver His child. i. All this is a reflection of David’s confidence in the love of God. David sees a God so loving that he won’t tolerate the distress of His beloved. When things aren’t right for His beloved all creation will see His passion and urgency to meet the need of His beloved. g. He took me… He drew me… He delivered me: David saw God apply all that majesty and strength to the meeting of his need. h. They were too strong for me… the LORD was my support: David knew that the victory was due to God’s hand, not due to his own ingenuity or ability. Without the LORD for support David would fall. i. He delivered me because He delighted in me: David had a sense of God’s delight in him. His plea for deliverance was rooted in relationship, not merely in a desire to survive. 4. (21-25) Why God delivered David. a. According to the cleanness of my hands: These words are one reason why many believe David could only sing this psalm before his sin with Bathsheba. Yet the text seems to indicate that David sang this towards the end of his days (2 Samuel 22:1). i. We might say that David simply believed what the Prophet Nathan told him in 2 Samuel 12:13: The LORD also has put away your sin. David knew he was a forgiven man, and that the cleanness of his hands was because God cleansed them, not because they had never been dirtied. b. I have kept the ways of the LORD… I was also blameless before Him: David isn’t claiming sinless perfection. He spoke of his general righteousness and of his righteousness as it contrasted with the wickedness of his enemies. ii. We can come to God in prayer with the same claim, but not on the basis of our own righteousness, but the righteousness we have received in Jesus (1 Corinthians 1:30 and 2 Corinthians 5:21). c. I kept myself from my iniquity: Some think this is arrogance or pride on David’s part. Spurgeon quotes one commentator who wrote, “Kept himself! Who made man his own keeper?” Yet we know there is certainly a sense in which we must keep ourselves from sin, even as Paul spoke of a man cleansing himself for God’s glory and for greater service (2 Timothy 2:21). B. Part Two: The Reason for Deliverance, Deliverance, and Praise. 1. (26-30) Why God delivered David. ii. David didn’t only sing about this principle; he also lived it and benefited from it. God showed David great mercy because he showed great mercy to others, like Saul (1 Samuel 24:10-13) and Shimei (2 Samuel 16:7-12). b. With the devious You will show Yourself shrewd: Translators have trouble with this sentence because it communicates a difficult concept. It’s easy to say that if a man is pure towards God then God will be pure to him. But you can’t say that if a man is wicked towards God then God will be wicked towards him, because God can’t do anything wicked. c. You will save the humble people; but Your eyes are on the haughty, that You may bring them down: David proclaims his confidence in the principle repeated in Proverbs 3:34, James 4:6, and 1 Peter 5:5: God resists the proud, but gives grace to the humble. i. There is something in true humility that prompts the grace and mercy of God and there is something in pride and haughtiness that prompts his resistance and displeasure. ii. Humility isn’t necessarily a low opinion of self; it is a combination of accurate opinion of self and simple self-forgetfulness. Humility is others-centered not self-centered. d. The LORD shall enlighten my darkness: When God met David’s need He first brought light. Great strength and skill don’t help much at all if we can’t see in the midst of the struggle. e. By You I can run against a troop; by my God I can leap over a wall: When God met David’s need He brought strength. One man should not be able to battle a troop, nor should he be able to leap over a wall protecting a city. i. David knew the principle of Ephesians 6:10 long before Paul penned the words: Be strong in the Lord and in the power of His might. God has a resource of power (His might) that He makes available to us by faith. We don’t have to be strong in our might, but we can be strong in His might. 2. (31-46) David’s deliverance comes from God. a. He is a shield to all who trust in Him: When God met David’s need He brought protection. David could see with light and stand in God’s strength, but he still needed supernatural protection. David’s trust was the vital link in receiving this protection from God. b. He makes my feet like the feet of deer, and sets me on my high places: David thought of how the deer seem to skip from place to place and never lose their footing. God gave him the same kind of skill in working through the challenges brought by his enemies. c. So that my arms can bend a bow of bronze: David thought of the strength needed to bend a bow made of bronze. God gave him the same kind of strength to overcome the challenges brought by his enemies. d. Your gentleness has made me great: For David, it wasn’t only about skill and power. It was also about receiving God’s mercy and enjoying relationship with the God of great gentleness. This also was a resource of strength for David. f. You have also delivered me from the strivings of my people: David didn’t only have to battle with problems from enemies, but also with the strivings of his own people. In the midst of the battle he had to endure the contention of his own people, but God sustained him through that also. g. You have kept me as the head of the nations: David knew that the throne belonged to God. David knew, “The throne is not mine. Not to have, not to take, not to protect, and not to keep. The throne is the LORD’s.” Therefore, when David had the throne, he knew it was God who gave it to him. 3. (47-51) David praises the God of his deliverance. a. The LORD lives! Blessed be my Rock: David thought of the great victory of God on his behalf and could only worship. c. He delivers me from my enemies. You also lift me up: We see in this psalm that David constantly moved back and forth from speaking about God (He delivers me) to speaking directly to God (You also lift me up). David didn’t seem to have a problem moving between the two aspects, indicating that there is place for both in praise. i. Paul quotes 2 Samuel 22:50 (Psalm 18:49) in Romans 15:9.
e. And shows mercy to His anointed: David ended the psalm understanding his position in mercy. Though earlier in the psalm he proclaimed his own righteousness, he came back to the foundation of God’s mercy. David’s relationship with God was based on God’s great mercy, not upon David’s own righteousness. 32 “For who is God, besides the LORD? And who is a rock, besides our God? 33 “God is my strong fortress; And He sets the blameless in His way. 34 “He makes my feet like hinds’ feet, And sets me on my high places. “The LORD is my strength and song, And He has become my salvation; This is my God, and I will praise Him; My father’s God, and I will extol Him. “And I will strengthen them in the LORD, And in His name they will walk,” declares the LORD.